The Next Big Infrastructure Crisis? You are standing at a cross-walk of a major road. You are waiting for the “go” signal to hurriedly make it across four lanes of traffic. About half way across, the red hand starts flashing and the countdown begins. No problem. Most planners design crossings for traffic to stop long enough to allow four-feet-per-second for a pedestrian to reach the other side. But the older we get, the more likely we are to slow down. I don’t believe that most 80-year-olds move at four-feet per second. At times, I even find myself catching my breath by the time I reach the other side. According to the U.S. Department of Health and Human Services, Administration for Community Living (ACL), persons 65 years or older numbered 46.2 million in 2014. They represented 14.5 percent of the U.S. population, about one in every seven Americans. It is expected to grow to be 21.7 percent of the population by 2040. By 2060, there will be an estimated 98 million older persons, more than twice their number in 2014. Could the next big infrastructure crisis be addressing the future mobility needs for the elderly? Age-proofing cities will be a cultural challenge as well as an urban design one. The United States is an age-denying, youth-oriented culture. For most of us, when we think about “age-proofing” interventions, our thoughts turn to more interior spaces such as grab bars in bathrooms. But what about interventions in much larger public spaces? Future urban planning will need to address such things as the number and location of city benches, flattening or cutting curbs to allow for easier access and even allowing for longer or slower cross-walk periods. Urban planning will also need to take into consideration the opening and closing of banks, supermarkets and post offices. 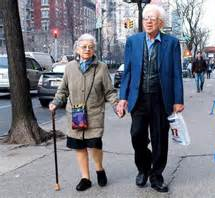 Most elderly individuals do not venture very far from their homes. This becomes an increasingly difficult and debilitating issue when an individual can no longer drive and be self-sufficient. Many times, an elderly individual’s main source of independence is relying on family, friends or public services to get to stores, churches and doctors. Without these types of assistance, an individual becomes “stranded” and their quality of life is seriously lessened. How can a city, and its urban planning, help support elderly residents to live independently, for longer periods of time and achieve the highest quality of life possible? Among the challenges seniors face are barriers to mobility, the need for activity and company, threats to physical safety and limited range of travel. Through careful planning and design, local governments can make physical improvements to the public environment allowing seniors easier access to all parts of the city. The improvements may seem insignificant and costly to some. But for elderly citizens, it can make the difference between being independent or “stranded” in a lesser quality of life. 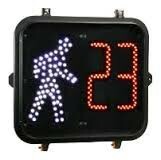 For senior drivers, addressing the size of sign wordage, the distance between warnings and hazards and the size and the brightest of lighted signals will help accommodate decreased reflexes, agility and vision. Providing more opportunities of public transportation stops; especially in rural areas where public transportation might be inaccessible. Recent demographic trends show that rural America is aging. The average age of rural populations is increasing as younger generations are moving, en masse, to more populous areas of the country. Addressing timing issues on public transportation such as accommodating a longer duration period for subway car doors being opened. Changing the design of bus schedules to be more readable for people who have trouble reading small print. Creating bus routes that seniors would be more interested in by including destinations such as pharmacies, banks, post offices, grocery stores and medical centers. In addition, elderly individuals often avoid the hours when mass transportation is the most available. This is due to heavy sidewalk use or transit travel. Unfortunately, many public transit systems decrease service during off or non-peak hours. The future challenge for city and government planners is how to design a community for a population they have not had to address so extensively in the past. If they plan effectively, they can help the aging population live fulfilling, independent lives along with remaining engaged and active in the community. 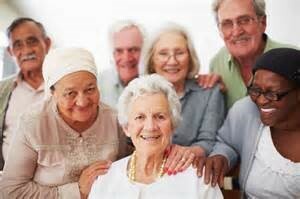 In the not-to-distant future, a relatively small population of seniors will become vastly larger. This population will become a significant contributor as taxpayers and consumers in our communities. Helping the elderly remain independent for as long as possible will sustain positive cultural, social and economic growth in our communities. Great article. Being in this age group I see every point Susanne is making. It’s worth the government to be thinking about changes that could be made right now. It’s happening faster then we would like. Very interesting article. Although I am in my late 20’s I am a witness of the United States being “…an age-denying, youth-oriented culture.” Thank you Susanne for the information.